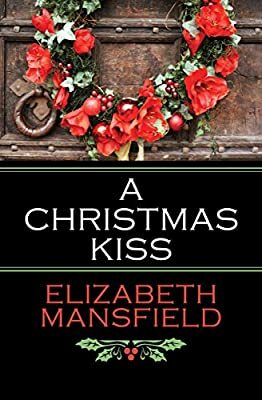 Author: Mansfield, Elizabeth Set In . . .
During the holiday season, a governess loses her heart to an earl with no intention of marrying again, in this Cinderella story set in Regency England. After defending her virtue by striking the besotted son of her employer, Miss Evalyn Pennington is discharged from her position under a cloud of scandal. With no place to go and no prospects for the coming year, the impoverished governess accepts an invitation from Jamie Everard, heir to an earldom, to spend the holidays at his family’s estate. But Evalyn has barely settled in at Gyllford Manor when she catches the eye of Philip Everard, the fourth Earl of Gyllford—and Jamie’s father. After his wife died, Philip vowed to never marry again, despite his sister’s best efforts to reintroduce him to London society. Then, his son brings a guest home for Christmas. Is the lovely, intelligent Evalyn the woman to make his footloose son settle down at last? But why does Jamie treat Evalyn in such a cavalier manner? And what is Philip to do about the reigning beauty of London who has set her cap for him—and is about to set in motion a scheme that will have far-reaching consequences for them all? A witty and warm tale about morals, mores, marriage, and mistaken intentions, this classic Regency holiday romance introduces a woman who refuses to surrender her ideals, and a man in danger of losing the one thing he swore never again to give: his heart.